Circle Square Ranches are Christian camping centers, dedicated to meeting the needs of children and youth across Canada. 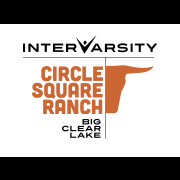 Big Clear Lake is one of several Circle Square Ranches located across Canada and exists to provide a pathway to a high impact life, the life that God has promised to all who love what He loves. Join us at our authentic Western Town complex as it is sure to be an experience you won't forget. Some of the activities offered are: horseback riding, swimming, a high ropes course, archery, canoeing, tubing, kayaking and more! During our Summer Camp Programs we strive to provide a positive experience for ranchers of all ages through our fun activities and caring environment. Ranchers are invited to consider issues of life and faith from a Christian perspective. Our programs are designed to entertain and challenge children and teens, giving them the camp experience of a lifetime! Summer Camps vary by week ranging in ages for youth 6-17 years old, so check out our camp page for more information. We also provide a wide variety of affordable, seasonal activities with bookings available September through June for church, school, family and community groups. Come out and make memories!. 11 Heated Cabins furnished with bunk beds, accommodating up to 12 people in each. A Recreation Hall that can be used for meetings, or simply fun, indoor games. This room is equipped with a basic sound system and LCD projector. The Upper Room is a newly renovated meeting room on the second floor that can accommodate up to 50 people. Two Guest Rooms with their own private bathroom are available upon request.